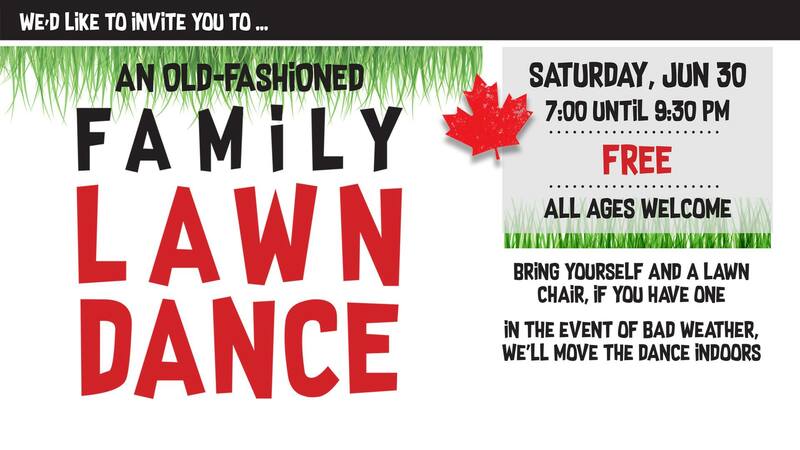 Join us for the 2nd Annual St. Luke’s Family Lawn Dance! We’ll be celebrating the last day of Canada’s 150th birthday with popcorn, lemonade and all kinds of foot-stomping fun! Don’t like to dance? That’s OK! We’ll have lawn games too — or just come and hang out on a beautiful summer evening. If it rains, we’ll move the dance indoors. Bring yourself and a lawn chair, if you have one. If not, just bring yourself! The Lawn Dance is free and all ages are welcome. We start at 7pm and finish at 9.30pm.